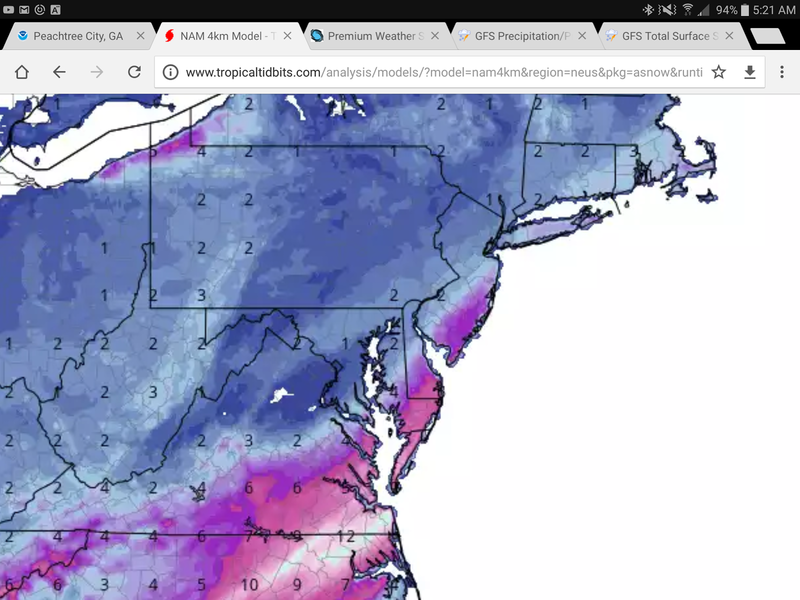 We have decent model agreement at this time as the Euro and GFS moved north, the NAM isn't givin us 10 inches anymore and the canadian is the least snowiest. While I am confidence that all areas see snow, some of the fring areas are on the line between 1-2 and 3-4 inches. Danville to South Hill 6-9 inches. Concerns: The distance between 2 and 5 inches isn't much at all. 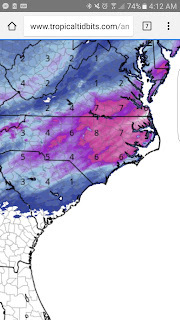 I could easily see city of Lynchburg getting 2 inches and the Foodlion in Rustburg getting 5. 15 miles will make a huge diference and we stil have many models giving 2-3 inches and others give 6-8 in Lynchburg and 1-2 Roanoke or5-7 in Roanoke. Positives: We have great conditions for snow growth, so ratios will be great. General rule of thumb is that 1 inch of liquid is 10 inches of snow. This could end up at 15 to 1 so. Last night's euro gave Lynchburg .5 liquid, that would make 7.5 or so inches of snow. My lock of the event: Everyone east of a line from Martinsville North to Moneta up near SML east to Altavista and Brookneal--Meets Winter storm criteria of 4 or more inches. Time: Some flurries possible late afternoon and evening, but the good stuff arrives midnight and later. Ends all areas by noon. NRV/Roanoke 8-9, Lynchburg 9-11 and points east by noon. Model comes in literally every hour when your near an event, but when you are more then a day out, the Canadian and Euro run every 12 hours. 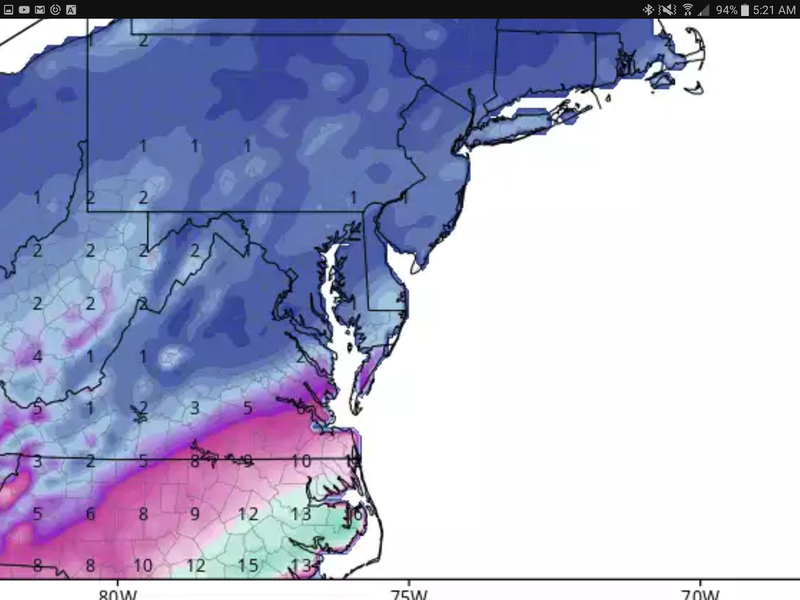 The GFS runs 4 times a day as does the NAM (Short term american model) . There were no major changes at midnight, but the 6z or off hour runs have started to turn north. Last night, most data showed an inch at best in our area.. here are some maps..GFS, and several versions of the NAM based on resolution. Anyways, pushing 2-4 inches now in Lynchburg and 1-2 in Roanoke. The noon model runs will either support or back off. When your crystal ball ain't so crystal clear..
Glossary terms for shorter posts: EC- European model, GFS- American- GEM- Canadian. 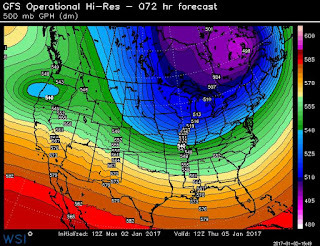 1.GFS isn't close and doesn't give much near us . Tremendous storm for eastern NC. 2. The Canadian is now good on wave 1, east on wave 2. We get 2 inches total, most Thursday night in Friday. 3. NAM- American regional model is south still. 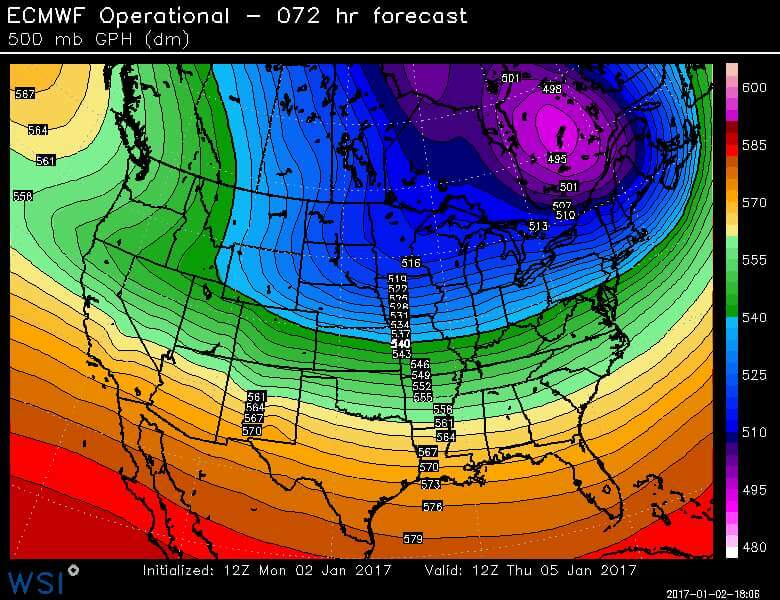 The Euro ensembles look better too-- for the first time. Ensembles are the model run 51 times with small changes to weed out model biases. My thoughts-- someone has to blink soon. The EC being a better model is almost like those sprint ads where they say Verizon is better, but only 1% better...so, my confidence isn't booming, yet. Timing-- Thursday evening, Flurries to an inch. Friday night and Saturday- Holding at 2-4 region wide, not a locked in forecast. First, wow my last blog was bad. I expected no updates. The models were very wrong about the pattern and cold will come, leave and then come back in the time I thought would be mild. Thursday may be a mess. Sometimes the worst traffic events come from small amounts of snow.. a slim coating is possible but with colder temps in place roads could get bad fast. I'd rather drive in 5 inches of snow when everyone knows to be safe then just a little when people don't take as much caution. Speed of the short wave.. This is the EURO...no Blue Dot. The energy has already moved east. So, in summary I think the euro may be right on timing and the low doesn't develop as fast because the timing issue with that. Still, it could provide another period of light snow Friday Night and Saturday, with maybe decent snows into Eastern NC. Will do a more quick status updates after the model runs tonight..Even a weaker strung out low could edge north as we get closer. At this time, Thursday may be the best bet to whiten the ground in our general area and travel may be horrible for a while.